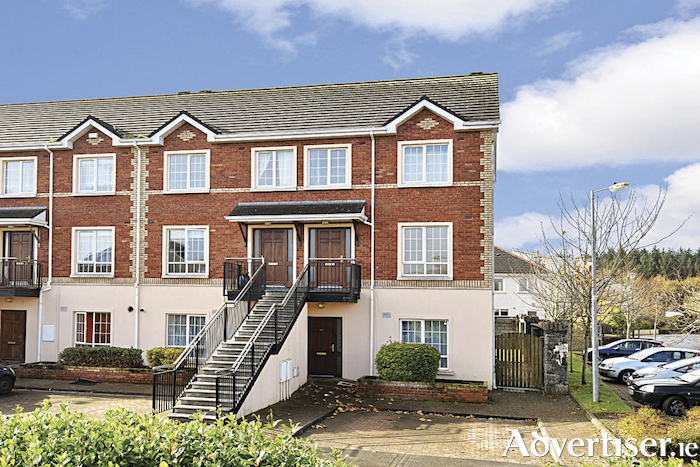 O'Donnellan & Joyce is offering for sale a delightful two bedroom ground floor apartment in the popular estate of An Fiodan, Doughiska, Galway. This development was constructed in 2005 by McInerney builders. It is beautifully designed and well kept with a number of landscaped green areas. The property is ideally situated within moments of the Galway Clinic, Merlin Park Hospital, Boston Scientific, Merit Medical, Creganna, and a wide choice of shops such as Aldi, Iceland, and Briarhill Shopping Centre. Also in the area is a host of schools and sporting facilities with football and astroturf pitches, basketball and tennis courts. The estate is serviced by an excellent road and bus network, bringing all the amenities and services of Galway city within easy reach. The Galway to Dublin M6 motorway is also nearby, providing quick links to many of Ireland's largest cities, towns, and villages. No 101 An Fiodan is presented and maintained in excellent condition with careful attention to detail and decor offering space, style, and comfort throughout. The apartment has the benefit of its own private front door entrance with accommodation including an entrance hall, and an open plan living/dining room with a kitchen located just off this open plan room. Two fine sized double bedrooms and a main bathroom complete the accommodation in this wonderful apartment. Outside the property offers communal parking to the front and a communal garden area to the rear. The property is bright and spacious and presented in pristine condition and would be an ideal owner occupier residence or gilt edged investment due to its favourable position close to the city's major employment hubs. Viewing is highly recommended and guaranteed not to disappoint. The BER is C1. Asking price is €185,000.